This is one of my simplest and most satisfying recipes: homemade herby cheese scones. I’m a sucker for a cheese scone anyway, but adding rosemary makes such a difference. I first cut the dough using a teeny tiny cutter but for my second attempt I just shaped the dough myself into large scone-shaped balls and doubled the quantities. And sprinkled lots of cheese on the top. And herbs. Did I mention herbs? You really must include herbs. black pepper (as much as you want to season). Mix the dry stuff, add the egg and milk, mix it into a crumbly dough, roll it out, cut it into shapes, sprinkle a mini mountain of cheese and rosemary on top and bake for 20-25 mins. Voila. Your house will smell delicious. Looks amazing. I bet the smell is heavenly when you bake these scones. Such a wonderful smell! I could bake them everyday. They look delicious. 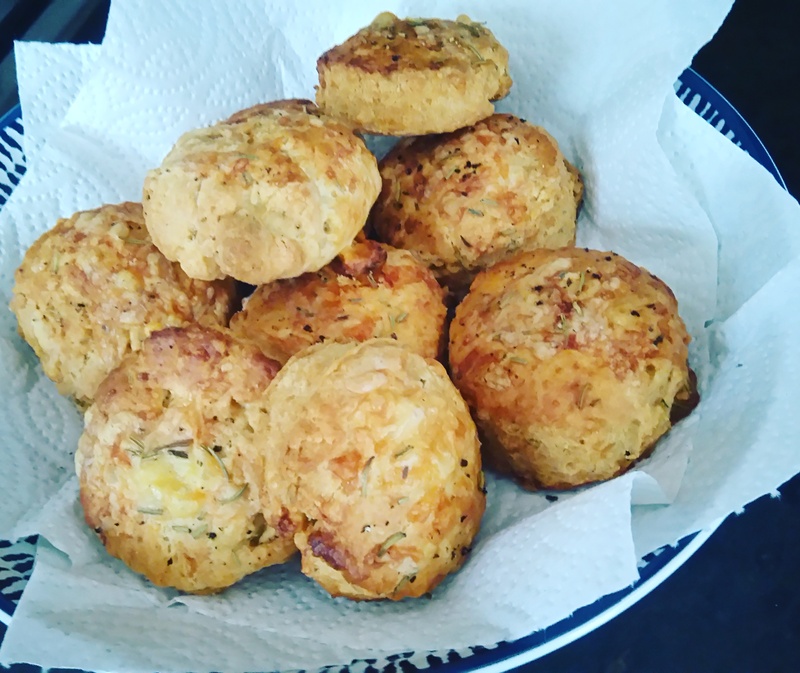 Love cheese scones.With rosemary, even better! Yummy! Will try.